Do you have old weather records that are in danger of deteriorating? The WMO wants to know what data need rescuing or are being rescued currently. Help WMO to facilitate data rescue by getting involved! 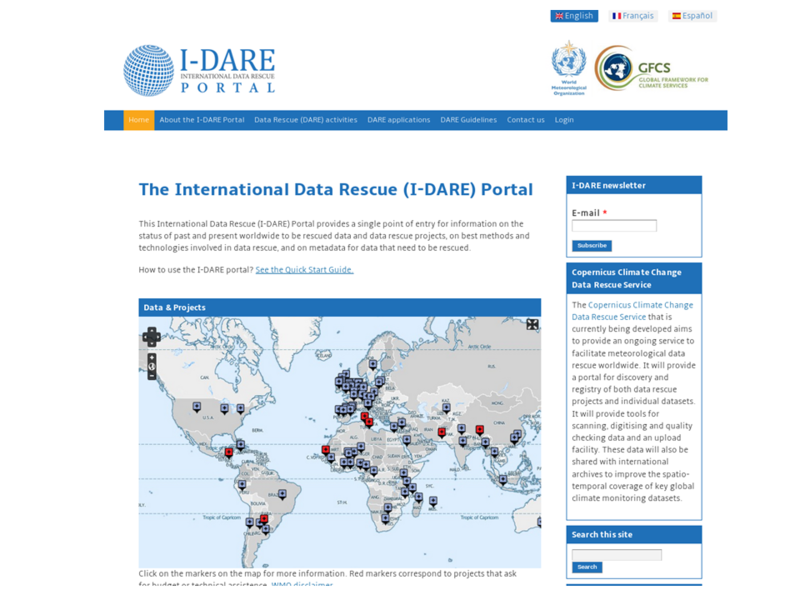 Visit the International Data Rescue (I-DARE) portal: www.idare-portal.org to let them know about your data rescue needs or projects, to learn about other projects, and to find tools and guidelines to help recover your old records. The Mission of the WMO Expert Team on Data Rescue and Management is to oversee and monitor Data Rescue and Climate Data Management Systems activities worldwide and provide guidance on related implementation aspects. Email info@idare-portal.org for more information, and to subscribe to further to their mailing list.